The White House on Monday released a video showing first lady Melania Trump decorating the Executive Mansion for the holidays. The theme of this year's decorations is "American Treasures: Christmas at the White House." See photos. 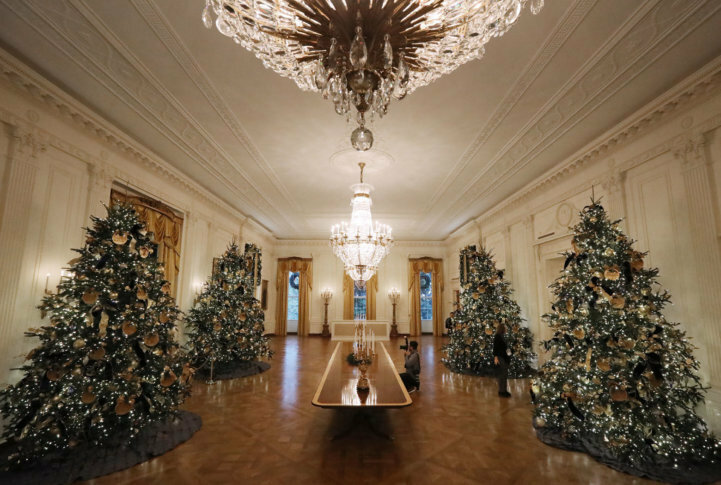 WASHINGTON — It’s beginning to look a lot like Christmas — inside 1600 Pennsylvania Avenue. The White House on Monday released a video showing first lady Melania Trump decorating the Executive Mansion for the holidays. The decorations include rows of brightly lit Christmas trees — including rows of red trees that appeared to be made entirely out of red Holly berries. Decking out the Executive Mansion in Christmas cheer is part of longstanding White House tradition. 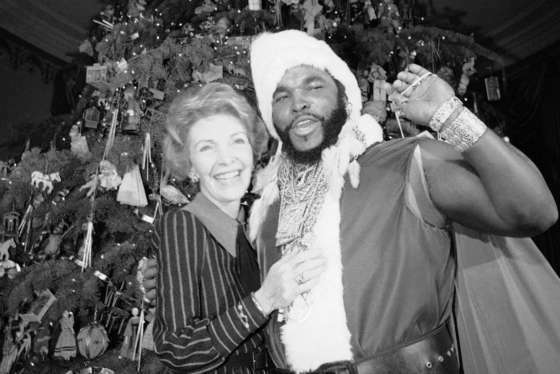 See photos of previous Christmases at the White House and other presidential holiday festivities.